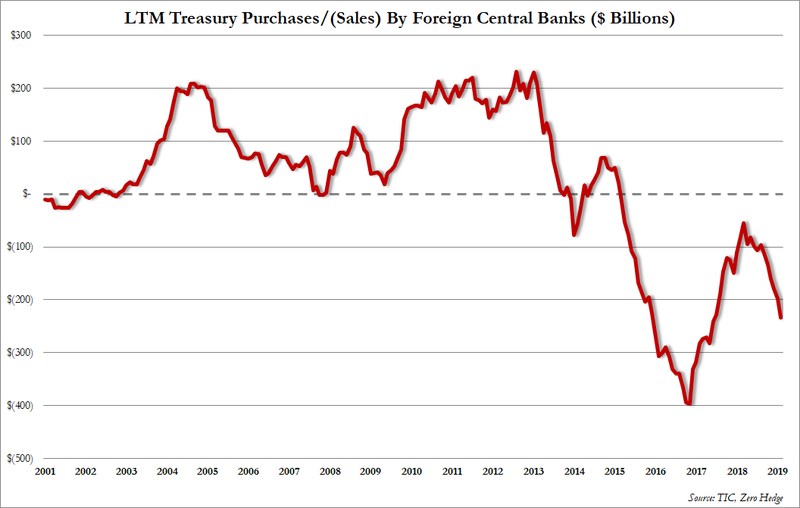 ... although much of this was offset by buying from private accounts. 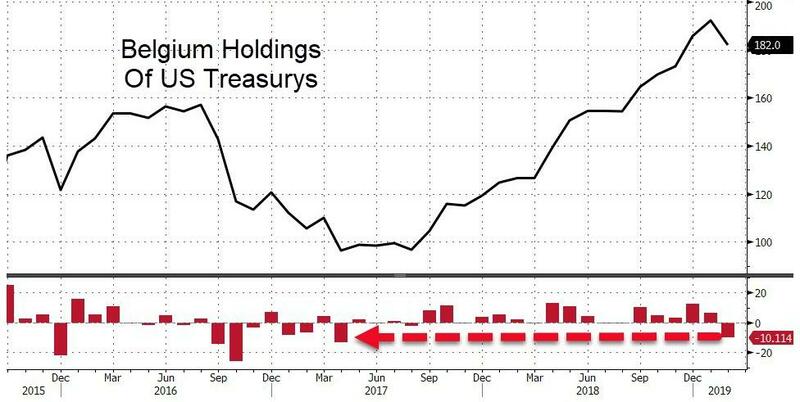 After the biggest selling since May 2016 last month, Saudis resumed buying USTs in February. 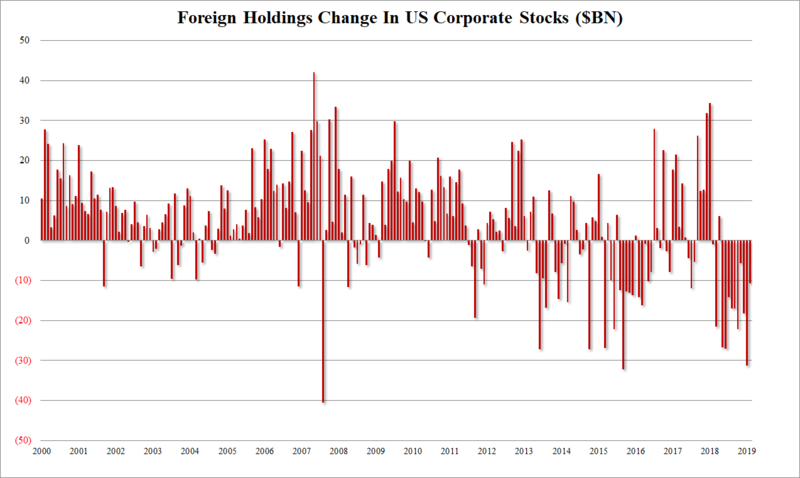 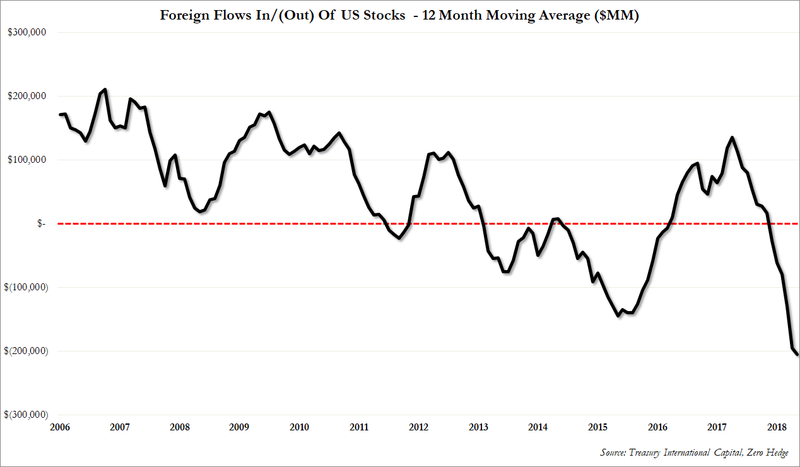 The aggregate $205 billion sale in the past 12 months, is the largest liquidation of US equities by foreigners on record. 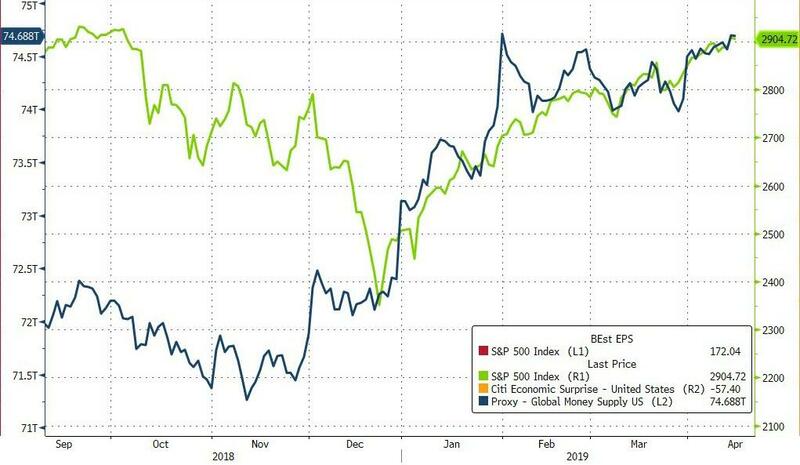 Luckily, global money supply - mostly thanks to China's record credit injection in the first quarter - is holding US equities up for now.